Just five miles north of the state capital of Madison, WI, a fair and pleasant valley known as the 'only Waunakee in the world' exists with a superior quality of life enjoyed by residents and businesses. Waunakee was recently named the second Safest City in Wisconsin for 2018 by the National Council for Home Safety and Security. For the full article and more information on the study, click the link below. 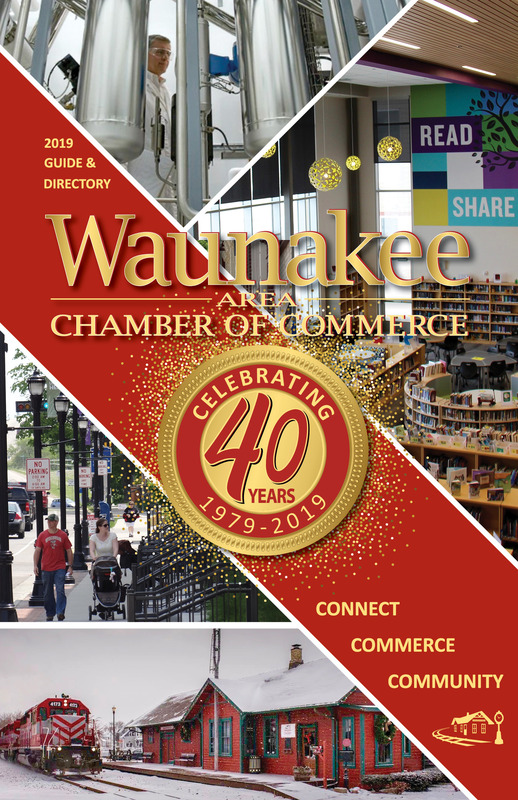 The Waunakee Area Chamber of Commerce has been engaged in our fine community since 1979. Business and service groups unite together to make our community and the greater Dane County area a better place to live and work. We offer a unified voice for the business community on issues critical to their success and are a clearinghouse for plans affecting the future of Waunakee. The Chamber is a goal-setting organization dedicated to helping the Waunakee area reach its full potential in growth and prosperity! "Where's Waunakee" Video promoting our community and location! Beat Scout Waunakee Video Enjoy, be proud of our community and SHARE! The Chamber hosts networking opportunities for members throughout the year. We sponsor Business After Hours, Connect4Lunch, Community Partnership classes, educational seminars and more. 2019 Community Guide & Directory has gone to print! Your guide to Chamber member shops, dining, events, services & more.